⚓ T2508 The Cirrus has been doubled! The Cirrus has been doubled! 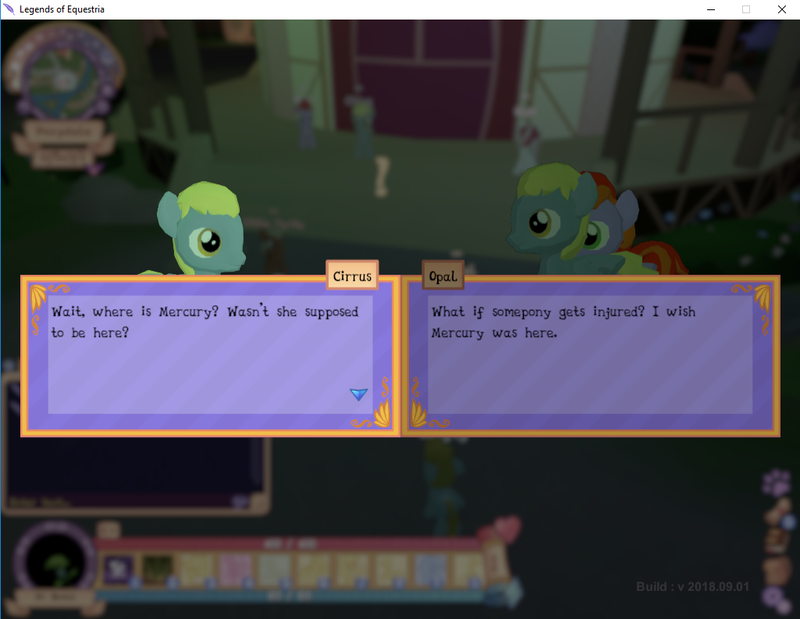 Cirrus in the Werepony Quest seems to overlap the previous dialogue box, and his text appears there in place of the previous one as well. This isn't a particularly BAD glitch, but it makes it difficult to know what was said before him, especially if you accidentally clicked ahead without reading first. Just a visual Glitch, should display as normal, isn't. I don't really know, it just happened randomly during the first group conversation in ponydale. Getting to that quest? idk it was night time in-game, I talked to a few other ponies beforehoof. Is there a better way to do that BTW? Like a built in screen shot thing like Fallout 1/2 or Steam? Unfortunately, that issue is due to the player's position relative to the npcs and the camera position/angle causing Cirrus to appear in front of Opal when Opal speaks.